Welcome to the new website for Pro Fence Grand Rapids. 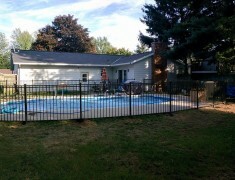 We are a fencing company serving Grand Rapids and surrounding areas. You will find our rates highly competitive and our service superior to our competition. We are in business because of our dedication to quality work and giving our customers elegant fences. Give us a call today for your always free estimate! Thanks for stopping by!